Digital Rotary Table can be mounted horizontally or vertically to the milling table for machining a wide variety of precision parts. One revolution of the handwheel rotates the 4" diameter table 5 degrees. Table has rotational accuracy of 10 seconds (0.0027 degrees). Digital readout unit can be set to display in degrees and minutes or in decimal degrees. Readout resolution: 1 minute (0.0166 degrees). 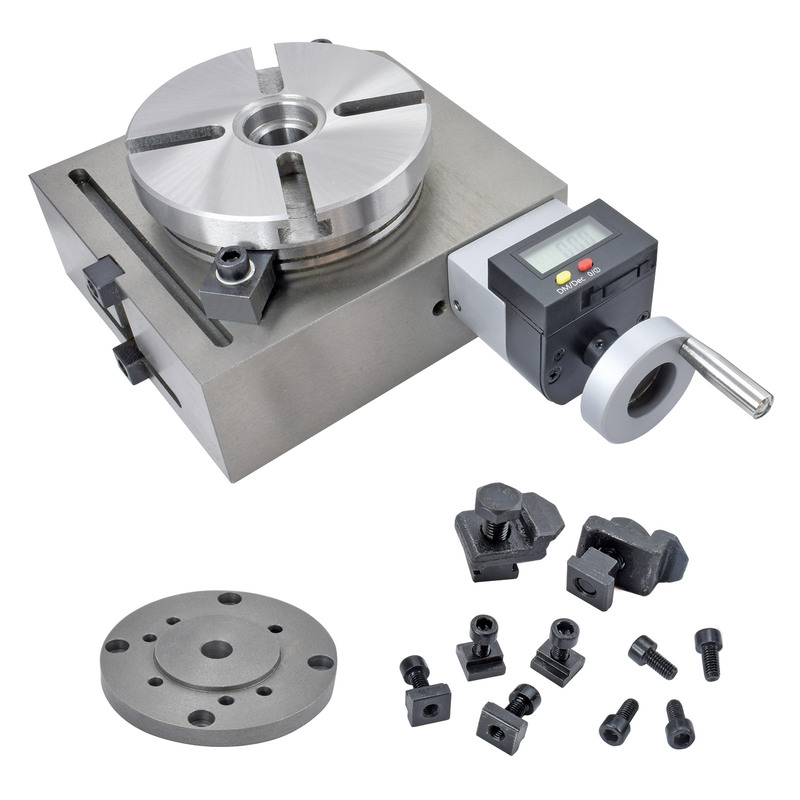 Table has a MT2 hole and includes an adapter plate for mounting our #82512 3-jaw lathe chuck and #82505 4-jaw lathe chuck (available separately). For use with MicroLux® R8 Milling Machine.